Each time we visit the Marshall House we feel as if we’re visiting friends. While we love the charm and character of the hotel, it’s the people who work there that make all the difference. Everyone is professional but very friendly, knowledgeable about the city so they ensure we don’t miss something fun, accommodating to any needs - with SMILES! 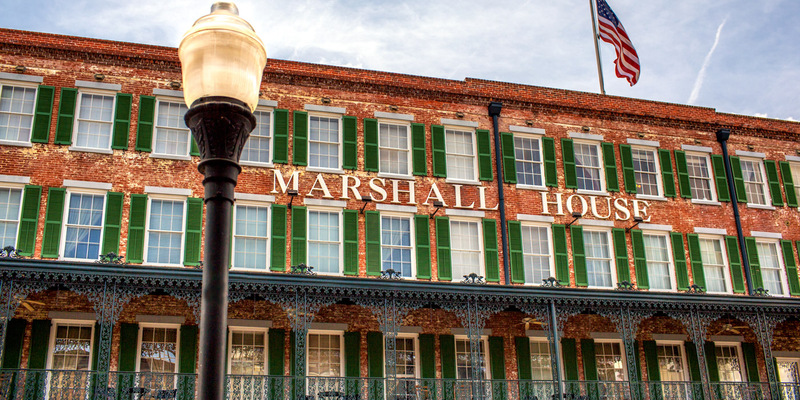 The Marshall House, in our opinion, is THE place to stay in and enjoy Savannah. Loved everything. The hotel was charming and well located. The staff were always looking to enhance our stay in any way possible. The wine and cheese receptions were a welcome surprise. We enjoyed the food and beverage offerings as well as the speaker and the harpist. The complimentary bottles of water in the room and by the front door were a very nice touch. I hate to get nickel and dimed when I stay at a hotel. We absolutely loved this hotel and can’t wait for our next visit to the Marshall House. You truly know how to make a guest feel welcomed. Great establishment. Everyone was so lovely and helpful. Their recommendations for where to eat, what to see and do, directions, etc., were spot on and exceeded our expectations. Thank you so much. This hotel is beautiful and has such southern charm! It was a perfect location with an easy walk to restaurants and shops! Our rooms were great on the second floor and we really thought it was a bonus to get bottled water each day by the front door as we left, and as we returned each day! The concierge staff was very accommodating and set up our Trolley tour and our Haunted Pub Crawl. The Bell staff were always so hospitable and had great recommendations for restaurants...we loved Henry's around the corner, suggested by Barnard. Our best meal during our 3 night stay was at the restaurant attached to the hotel, 45 Bistro. The GM was our server and was so pleasant and accommodating. I will definitely stay again if I return to Savannah. Stayed one night and would have stayed another if there hadn't been a hurricane. Friendly staff, cozy room and it was clean. There is a wine and cheese at 5 and on the night we were there the GM talked about the hotel, very interesting history. Good location, we walked to bars and restaurants. The breakfast is extra but is very reasonable for the selection offered. Really don't have anything negative to say about this hotel. We were there for 4 days and couldn't have been more impressed! The staff was wonderful, Bernard, Darius and Rachel went above and beyond. Sorry I can't recall all the names but the entire staff was welcoming, friendly and very helpful. The hotel s full of history and within wali,Ingrid distance of everything. Wine and cheese complimentary at 5 every night with a harpist, violinist or guitar player. Beautiful place! Would highly recommend! My favorite hotel in all the world. And I have stayed in lots. The basics to make it wonderful are all there - beautiful lobby decor, lovely rooms that don’t feel institutional, central location, free WiFi, and a reasonably priced breakfast. What makes it superb? The people! The service is friendly and warm. They treated me and my girls like we were guests in their home. They don’t hover; they have that distinct talent of knowing when you need help or a question answered and when you need to just get on your way. They are all so good at their job that you can see each is a valuable team member of this finely run establishment. It isn’t a stuffy formal place but a warm and inviting place to stay that feels like the finest hotels of yesteryear. The special touches, like giving my girls their happy hour lemonade in wine glasses, giving my wine in a to-go cup because we were heading out, greeting us every time we came “home,” offering water bottles to take with us on the way out, giving restaurant recommendations that were spot on for food, price and teen hipness made The Marshall House as important to our vacation as the ghost tours and the museum. We had the best time and this hotel was one of the biggest reasons. I will never stay anywhere else in Savannah. They have a customer for life. My husband and myself were in Savannah for the first time celebrating out 13th year anniversary. Your staff at The Marshall House were beyond excellent. 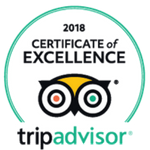 We were there for 4 days and everyone we encountered in all areas of the hotel went above and beyond to make our stay the best vacation stay we have ever had. This says a lot because my profession is training customer service for businesses and their new employees. So I am pretty picky and I have to say, the staff was on point with everything. I was so impressed. We will be back, this is the only place we will stay when visiting in Savannah. Our new home away from home. And that is how the staff made us feel, like we were at home. Thank you.